I have to admit that I didn’t get into making slime when my son was younger. I’m just not very crafty and we did a lot of things together but crafting just wasn’t one of them. At least not on a regular basis. Fast forward, my son is now a teenager, and I’m suddenly into making slime. 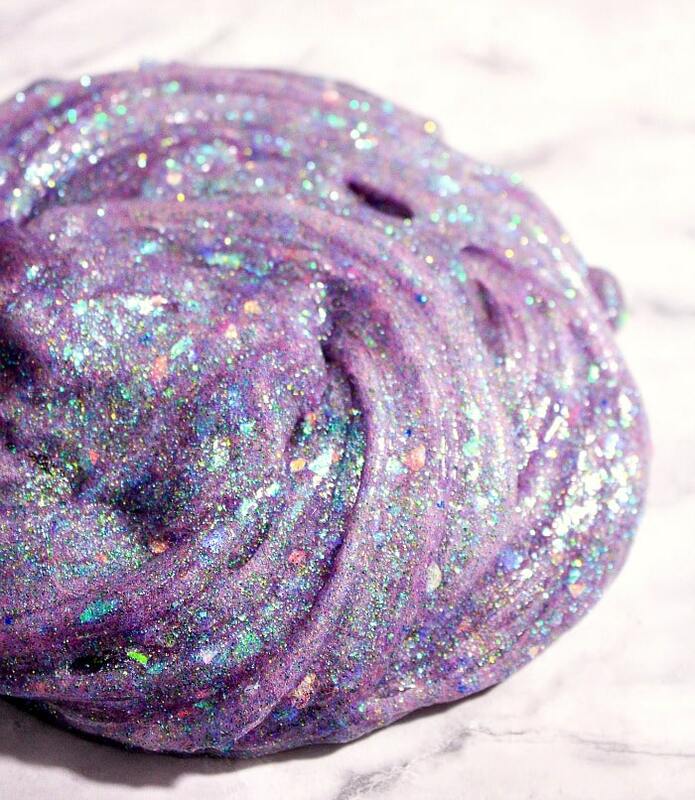 I love all kinds of slime and experimenting with slime recipes, like glitter slime. 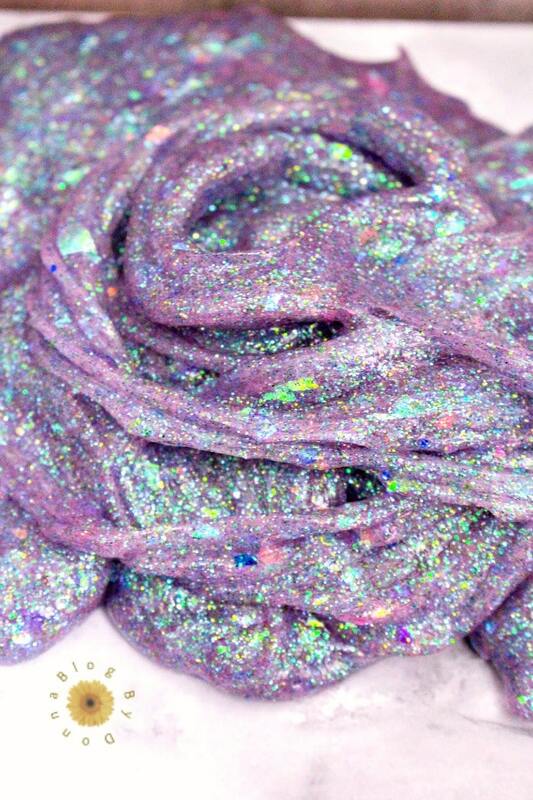 I’m actually finding making slime relaxing. Who knew slime was so therapeutic? Well, you probably did, but I’m a late bloomer, I guess. 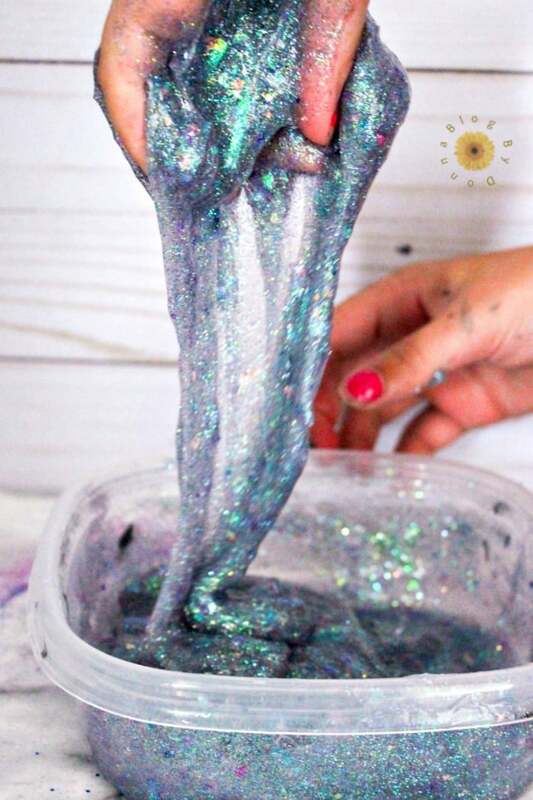 All I know is, making and playing with slime is fun… no matter what your age is. 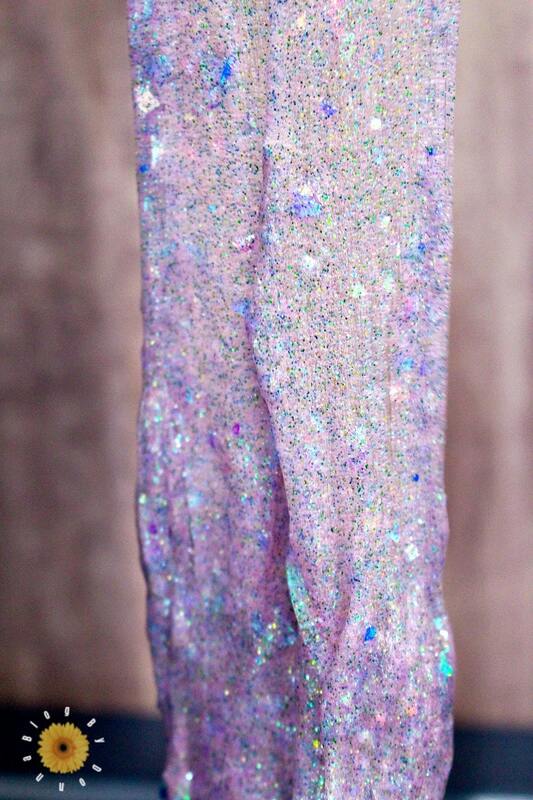 Glitter – chunky glitter and fine glitter. 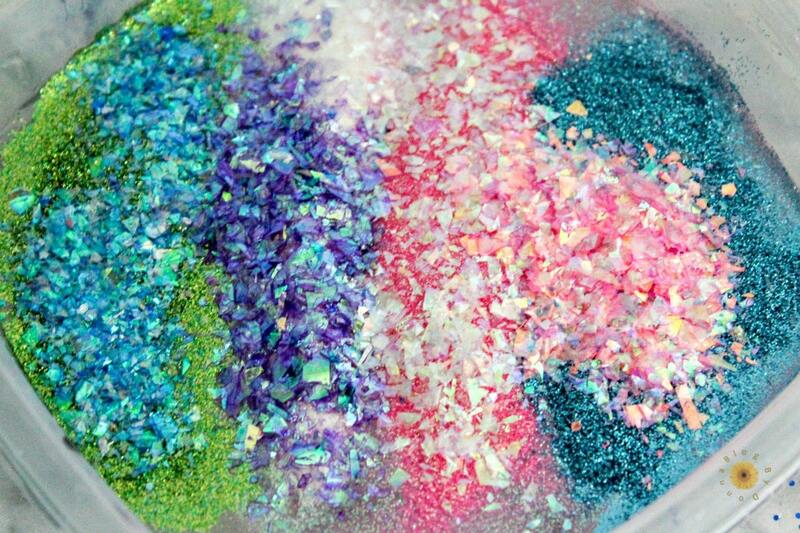 These are the colors I used – fine pink glitter, fine blue glitter, fine green glitter, and fine iridescent glitter, but feel free to experiment with any colors you want or have available! 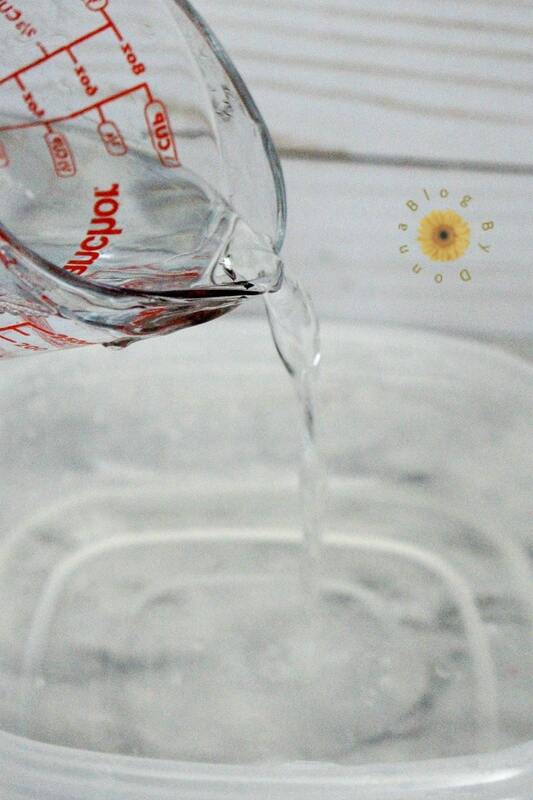 Pour the entire 5 oz bottle of clear glue into a medium-size bowl. Next, add in ½ cup of water. Then add in ½ tsp baking soda and stir. Add in the glitter. Don’t be timid here. 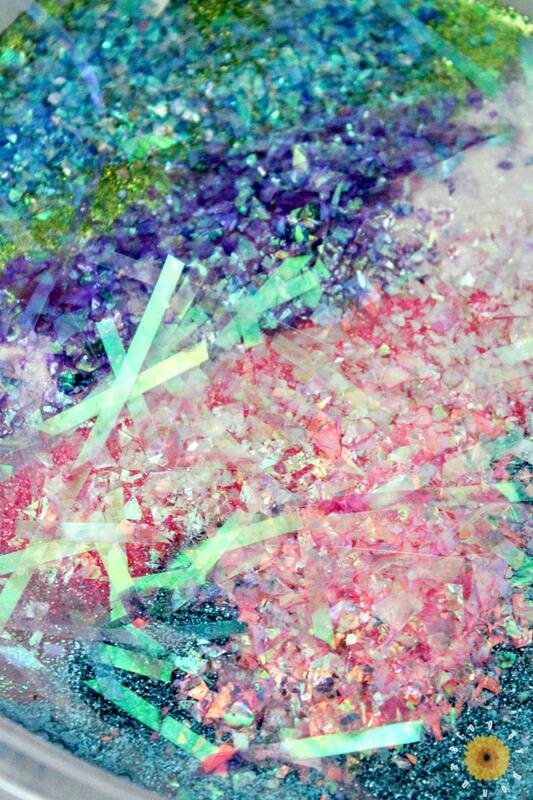 We really piled in the fine glitters and chunky glitters. Cut iridescent basket fillers to small pieces. These really gave our slime a fun texture! WARNING, it will be STICKY! Don’t panic! Just mix the solution in the bowl until it starts to form. 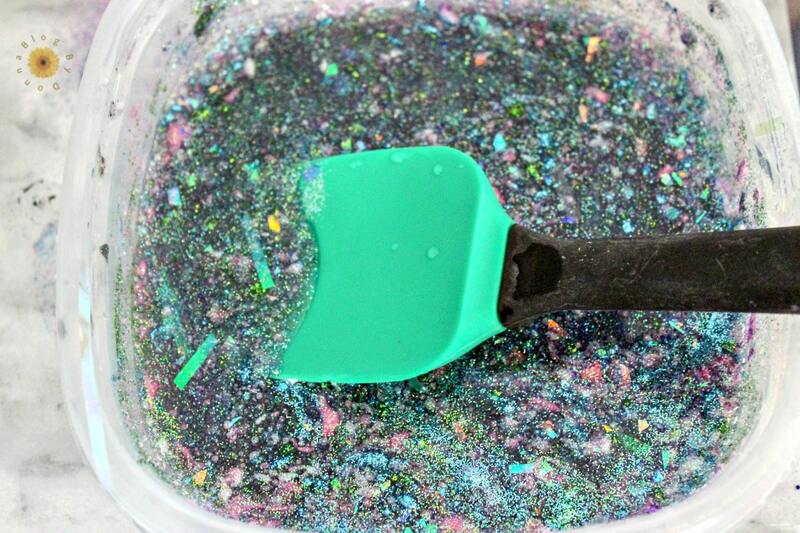 You can make this fun glitter slime with your kids, make the slime to giveaway as a DIY gift, or like me, make it and help yourself relax. It is quite therapeutic. It really turned out pretty and would be a nice gift for grandchildren, nieces, or nephews.